Do you know that the federal government can use forfeiture laws to close marijuana-related businesses? Do you know that “cannabusinesses” can get financing despite resistance by banks to extend credit to this type of business? Do you know there are business policies and procedures you should establish to avoid legal scrutiny and survive an IRS audit? Do you know that there are strategies available to minimize the unfairness of taxation of marijuana-related businesses by the Federal government? Medical marijuana is now legal in 29 states plus the District Of Columbia and recreational marijuana is legal in 8 states plus the District Of Columbia. In 2000, 70% of Americans believed marijuana should be illegal. Attitudes have since dramatically changed with a complete flip as a 2017 Yahoo News/Marist Poll survey showed that 83% support legalization. Click here if you are under investigation or audit by the IRS. Click here if you have not yet been scrutinized in an investigation or audit by IRS. California was the first state in the country to legalize medical marijuana in 1996. Over the following two decades, a thriving medical marijuana industry became firmly rooted in the state despite frequent overhauls to California’s legal and regulatory framework for medical marijuana. State lawmakers addressed the confusion in the 2016 Medical Cannabis Safety and Regulation Act, an expansive piece of legislation that overhauled California’s licensing processes and regulations for patients, dispensaries, growers, manufacturers, and transporters of medical cannabis. The possession and use of up to one ounce of marijuana (or 8 grams of concentrates) is legal for adults 21 and over. The cultivation for personal use by adults 21 years old and over of up to six plants per residence is legal. The illegal cultivation, sale, transport, and possession for sale of marijuana are reduced from felonies to misdemeanors, except in the case of repeat or violent offenders or other aggravating circumstances. People with prior marijuana offenses can have their criminal record modified to show the offenses they would have received had Proposition 64 been in effect. The creation of a licensing regulation system for the commercial production and sale of recreational cannabis by January 1, 2018. The state will tax $9.25 on every ounce of bud at the production level. The state will tax $1.29 per ounce of fresh cannabis plant. The state will tax 15% of both medical and recreational marijuana sales. Card-carrying medical marijuana patients are exempted from the current 7.25% sales tax. The production of industrial hemp is now legal. 21 U.S.C. § 812 known as the Federal Controlled Substances Act (“CSA”) classifies marijuana as a Schedule 1 substance with a high potential for abuse, no currently accepted medical use in treatment, and lack of accepted safety for use under medical supervision. Although you can still face federal criminal charges for using, growing, or selling weed in a manner that is completely lawful under California law, the federal authorities as least for now have pulled back from targeting individuals and businesses engaged in medical marijuana activities. Does the business allow minors to gain access to marijuana? Is revenue from the business funding criminal activities or gangs? Is the marijuana being diverted to other states? Is the legitimate medical marijuana business being used as a cover or pretext for the traffic of other drugs or other criminal enterprises? Are violence or firearms being used in the cultivation and distribution of marijuana? Does the business contribute to drugged driving or other adverse public health issues? Is marijuana being grown on public lands or in a way that jeopardizes the environment or public safety? Is marijuana being used on federal property? Since 2013, these Safe Harbor Guidelines known as the “Cole Memo” provided a level of certainty to the marijuana industry as to what point could you be crossing the line with the Federal government. But on January 4, 2018, Attorney General Jeff Sessions revoked the Cole Memo. Now U.S. Attorneys in the local offices throughout the country retain broad prosecutorial discretion as to whether to prosecute cannabis businesses under federal law even though the state that these businesses operate in have legalized some form of marijuana. Although the safe harbor guidelines are no longer in place at a national level, it is plausible to think that your local federal prosecutor will consider their application in determining whether federal prosecution against a local marijuana business should be implemented. However, there is no guarantee on this. Rohrabacher-Farr Amendment. Building on the DOJ’s stance in 2014, the House passed an amendment to the yearly federal appropriations bill that effectively shields medical marijuana businesses from federal prosecution. Proposed by Representatives Rohrabacher and Farr, the amendment forbids federal agencies to spend money on investigating and prosecuting medical marijuana-related activities in states where such activities are legal. This action by the House is not impacted by Sessions’ recent change of position with the DOJ. Maintain compliance to California’s marijuana laws to avoid possession or production of too much cannabis for your personal use. Have the necessary California State and local licenses to cultivate and manufacture/process marijuana. Maintain compliance to California’s marijuana laws to avoid possession of too much cannabis for your personal use. Have the necessary California State and local licenses to transport or distribute marijuana. Have the necessary California State and local licenses to sell marijuana. California may well be a cannabis-friendly state, but it is still possible to face a criminal prosecution at the Federal level and given the uncertainty regarding federal limitations and complex compliance regulations so it is critical to have the proper legal counsel. 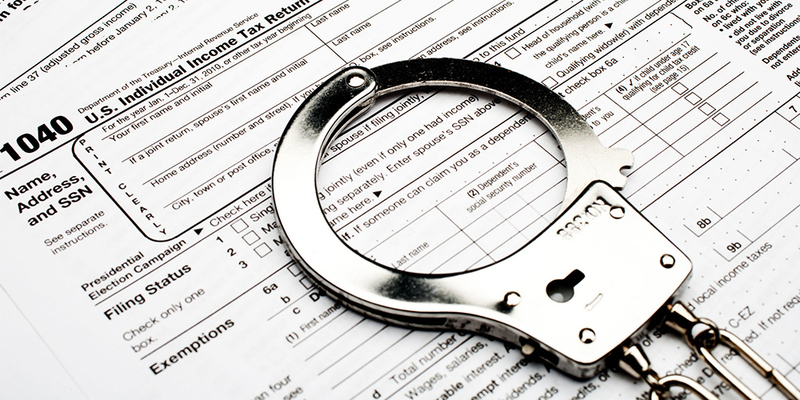 Having access to a Board Certified Tax Attorney-CPA with more than 29 years of experience in advising businesses in tax compliance and planning, accounting systems and cash management can help you meet your challenges minimizing your taxes and conduct business in a manner that avoids prosecution by the Federal authorities and meets California laws regulations. Don’t delay call us today! 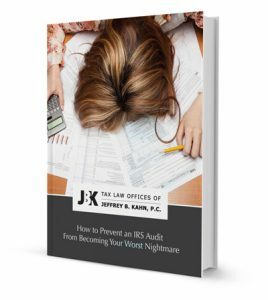 Are You A Business Owner With Incomplete Books And Records Facing An IRS Audit? How The IRS Is Connected To The Growing Sharing Economy. What Are The Pros And Cons Of Going On Extension? Freelancer? Avoid these '7 deadly sins' at tax time.